All U.S. citizens Status candidates may also apply under FEMA-SEG-16-74258-MP View common definitions of terms found in this announcement This announcement will close on (Monday, October 19, 2015 ) OR the date the 200 th application is received, whichever comes first. When disaster strikes, America looks to the Federal Emergency Management Agency (FEMA). Now FEMA looks to you. Join our team and use your talent to support Americans in their times of greatest need. FEMA prepares the nation for all hazards and manages Federal response and recovery efforts following any national incident. We foster innovation, reward performance and creativity, and provide challenges on a routine basis with a well-skilled, knowledgeable, high performance workforce. Please visit http://www.fema.gov for additional information. This position starts at a salary of $64,174 (GS-11) with promotion potential to the $76,919 (GS-12). Apply for this exciting opportunity to become a member of the Region V team within FEMA. Promotion Potential: Future promotions will be dependent on your ability to perform the duties at a higher level, the continuing need for an employee assigned to the higher level, and administrative approval . EMERGENCY ASSIGNMENT: Every FEMA employee has regular and recurring emergency management responsibilities, though not every position requires routine deployment to disaster sites. All positions are subject to recall around the clock for emergency management operations, which may require irregular work hours, work at locations other than the official duty station, and may include duties other than those specified in the employee’s official position description. Travel requirements in support of emergency operations may be extensive in nature (weeks to months), with little advance notice, and may require employees to relocate to emergency sites with physically austere and operationally challenging conditions. All U.S. citizens Status candidates may also apply under FEMA-16-SEG-75775-MP View common definitions of terms found in this announcement This announcement will close on (Monday, October 9, 2015) OR the date the 200 th application is received, whichever comes first. U.S. citizens and nationals; no prior Federal experience is required. This announcement will close on 10/15/15 OR the date the 200th application is received, whichever comes first. When disaster strikes, America looks to FEMA. Now FEMA looks to you. Join our team and use your talent to support Americans in their times of greatest need. The Federal Emergency Management Agency (FEMA) prepares the nation for all hazards and manages Federal response and recovery efforts following any national incident. We foster innovation, reward performance and creativity, and provide challenges on a routine basis with a well-skilled, knowledgeable, high performance workforce. This position is being announced under FEMA’s Incident Management CORE Program (Cadre of On-call Response/Recovery employees). These positions are authorized under P.L. 93-288 to perform temporary disaster work and are funded from the Disaster Relief Fund. Appointments are excepted service, temporary appointments. This is a 2 year temporary appointment in the Excepted Service. EMERGENCY ASSIGNMENT : Every FEMA employee has regular and recurring emergency management responsibilities, though not every position requires routine deployment to disaster sites. All positions are subject to recall around the clock for emergency management operations, which may require irregular work hours, work at locations other than the official duty station, and may include duties other than those specified in the employee’s official position description. Travel requirements in support of emergency operations may be extensive in nature (weeks to months), with little advance notice, and may require employees to relocate to emergency sites with physically austere and operationally challenging conditions. When disaster strikes, America looks to FEMA. Now FEMA looks to you. Join our team and use your talent to support Americans in their times of greatest need. The Federal Emergency Management Agency (FEMA) prepares the nation for all hazards and manages Federal response and recovery efforts following any national incident. We foster innovation, reward performance and creativity, and provide challenges on a routine basis with a well-skilled, knowledgeable, high performance workforce. Please visit http://www.fema.gov for additional information. The incumbent performs duties for the implementation of the public assistance program lifecycle grant monitoring and closeout process. Apply for this exciting opportunity to become part of the Department of Homeland Security (DHS), Federal Emergency Management Agency (FEMA), Region 2, Recovery Division, Public Assistance Branch located in Colts Neck, NJ. Promotion Potential: Future promotions will be dependent on your ability to perform the duties at a higher level, the continuing need for an employee assigned to the higher level, and administrative approval. EMERGENCY ASSIGNMENT: Every FEMA employee has regular and recurring emergency management responsibilities, though not every position requires routine deployment to disaster sites. All positions are subject to recall around the clock for emergency management operations, which may require irregular work hours, work at locations other than the official duty station, and may include duties other than those specified in the employee’s official position description. Travel requirements in support of emergency operations may be extensive in nature (weeks to months), with little advance notice, and may require employees to relocate to emergency sites with physically austere and operationally challenging conditions. This position is being announced under FEMA’s CORE Program (Cadre of On-call Response/Recovery employees). These positions are authorized under P.L. 93-288 to perform temporary disaster work and are funded from the Disaster Relief Fund. Appointments are excepted service, temporary appointments. This is a 2 year temporary appointment in the Excepted Service. When disaster strikes, America looks to FEMA. Now FEMA looks to you. Join our team and use your talent to support Americans in their times of greatest need. The Federal Emergency Management Agency (FEMA) prepares the nation for all hazards and manages Federal response and recovery efforts following any national incident. We foster innovation, reward performance and creativity, and provide challenges on a routine basis with a well-skilled, knowledgeable, high performance workforce. Please visit http://www.fema.gov for additional information. This position is located in the Operations Support Division, Office of the Chief Information Officer (OCIO), Mission Support Bureau (MSB), Federal Emergency Management Agency (FEMA). This position starts at a salary of $76,378 (GS-12). Apply for this exciting opportunity to become a member of the Office of the Chief Information Officer. EMERGENCY ASSIGNMENT: Every FEMA employee has regular and recurring emergency management responsibilities, though not every position requires routine deployment to disaster sites. All positions are subject to recall around the clock for emergency management operations, which may require irregular work hours, work at locations other than the official duty station, and may include duties other than those specified in the employee’s official position description. Travel requirements in support of emergency operations may be extensive in nature (weeks to months), with little advance notice, and may require employees to relocate to emergency sites with physically austere and operationally challenging conditions. This position is being announced under FEMA’s CORE Program (Cadre of On-call Response/Recovery employees). These positions are authorized under P.L. 93-288 to perform temporary disaster work and are funded from the Disaster Relief Fund. Appointments are excepted service, temporary appointments. This is a 2 year temporary appointment in the Excepted Service. All U.S. citizens Status candidates may also apply under FEMA-16-EA-66590-MP View common definitions of terms found in this announcement This announcement will close on the date indicated above OR the date the 200 th application is received, whichever comes first. When disaster strikes, America looks to the Federal Emergency Management Agency (FEMA). Now FEMA looks to you. Join our team and use your talent to support Americans in their times of greatest need. FEMA prepares the nation for all hazards and manages Federal response and recovery efforts following any national incident. We foster innovation, reward performance and creativity, and provide challenges on a routine basis with a well-skilled, knowledgeable, high performance workforce. Please visit http://www.fema.gov for additional information. The ideal candidate should have experience managing information technology (IT) services and support in a managed IT environment through the direct on-site supervision of a team of IT specialists providing hands-on IT support for an organization of at least 200 personnel. This position starts at a salary of $107,826 (GS-14). Apply for this exciting opportunity to become a member of the Region 1 team within FEMA. EMERGENCY ASSIGNMENT: Every FEMA employee has regular and recurring emergency management responsibilities, though not every position requires routine deployment to disaster sites. All positions are subject to recall around the clock for emergency management operations, which may require irregular work hours, work at locations other than the official duty station, and may include duties other than those specified in the employee’s official position description. Travel requirements in support of emergency operations may be extensive in nature (weeks to months), with little advance notice, and may require employees to relocate to emergency sites with physically austere and operationally challenging conditions. When disaster strikes, America looks to FEMA. Now FEMA looks to you. Join our team and use your talent to support Americans in their times of greatest need. The Federal Emergency Management Agency (FEMA) prepares the nation for all hazards and manages Federal response and recovery efforts following any national incident. We foster innovation, reward performance and creativity, and provide challenges on a routine basis with a well-skilled, knowledgeable, high performance workforce. Please visit http://www.fema.gov for additional information. This position is located in the Department of Homeland Security (DHS), Federal Emergency Management Agency (FEMA), Louisiana Recovery Office (LRO) in Baton Rouge, LA. This position starts at a salary of $48,403 (GS-09 ). Apply for this exciting opportunity to become a member of the LRO team within FEMA. EMERGENCY ASSIGNMENT: Every FEMA employee has regular and recurring emergency management responsibilities, though not every position requires routine deployment to disaster sites. All positions are subject to recall around the clock for emergency management operations, which may require irregular work hours, work at locations other than the official duty station, and may include duties other than those specified in the employee’s official position description. Travel requirements in support of emergency operations may be extensive in nature (weeks to months), with little advance notice, and may require employees to relocate to emergency sites with physically austere and operationally challenging conditions. This position is being announced under FEMA’s CORE Program (Cadre of On-call Response/Recovery employees). These positions are authorized under P.L. 93-288 to perform temporary disaster work and are funded from the Disaster Relief Fund. Appointments are excepted service, temporary appointments. This is a 2 year temporary appointment in the Excepted Service. U.S. Citizens; ICTAP and CTAP eligibles in the local commuting area. Also being advertised as job announcement #MS-15-SF-0WCP-105 for status applicants, Veterans Employment Opportunity Act (VEOA) applicants & persons eligible under these non-competitive authorities: Veterans’ Recruitment Appointment (VRA); 30% or more compensably disabled veterans. This position is located in the Division of Energy Employees Occupational Illness Compensation Program (DEEOICP) which is a part of the U.S. Department of Labor (DOL), Office of Workers’ Compensation Programs (OWCP), Seattle, WA. The mission of the DEEOICP is to deliver benefits to eligible employees and former employees of the Department of Energy (DOE), its contractors and subcontractors or to certain survivors of such individuals. The mission also includes delivering benefits to certain beneficiaries of Section 5 of the Radiation Exposure Compensation Act (RECA). The Energy Employees Occupational Illness Compensation Act (EEOICPA) provides compensation and medical benefits to employees who become ill as a result of working in the atomic weapons industry. The EEOICPA also offers benefits to their survivors. Workers who developed certain illnesses as a result of work performed in the production and testing of nuclear weapons while they were employees of the DOE, its predecessor agencies, or its contractors and subcontractors, are eligible for benefits. Employees of DOE designated Atomic Weapons Employers (AWE) and beryllium vendors are also eligible for compensation. This position is inside the bargaining unit. Up to five (5) positions will be filled through from this announcement. If additional vacancies become available, additional selections will be made. This position has promotion potential to GS-12. Promotion Potential: There is no obligation to provide future promotions to you if you are selected. Future promotions are dependent on your ability to perform the duties at a higher level, the continuing need for an employee assigned to the higher level, and supervisory approval. DOL seeks to attract and retain a high performing and diverse workforce in which employees differences are respected and valued to better meet the varying needs of the diverse customers we serve. DOL fosters a diverse and inclusive work environment that promotes collaboration, flexibility and fairness so that all individuals are able to participate and contribute to their full potential. This position is located in Atlanta, Georgia at the U.S. Department of Labor, Bureau of Labor Statistics. Office of Field Operations . (Price Program) This position has promotion potential to GS-07 . Promotion Potential: There is no obligation to provide future promotions to you if you are selected. Future promotions are dependent on your ability to perform the duties at a higher level, the continuing need for an employee assigned to the higher level, and supervisory approval. *THIS POSITION IS PART TIME ONLY AND DOES NOT LEAD TO FULL TIME. This position is a permanent part-time position. Some weekend or evening hours will be required. The weekly hours of work vary, but are expected to average 16-32 hours per week. The average weekly and/or total hours may increase or decrease. – This position is inside the bargaining unit. – Relocation costs will not be paid. U.S. Citizens; ICTAP and CTAP eligibles in the local commuting area. Also being advertised as job announcement MS-15-HRC-ILAB-333 for status applicants, Veterans Employment Opportunity Act (VEOA) applicants & persons eligible under these non-competitive authorities: 30% or more compensably disabled veterans; persons w/disabilities (Schedule A); present/former Peace Corps (PC) personnel & former PC volunteers. To be considered for each, apply to BOTH jobs. DOL seeks to attract and retain a high performing and diverse workforce in which employees differences are respected and valued to better meet the varying needs of the diverse customers we serve. DOL fosters a diverse and inclusive work environment that promotes collaboration, flexibility and fairness so that all individuals are able to participate and contribute to their full potential. These positions are located in the Department of Labor, Bureau of International Labor Affairs, Office of Child Labor, Forced Labor, and Human Trafficking (OCFT), Divisions of Research and Policy AND Monitoring and Evaluation. OCFT is responsible for developing policy, researching, investigating, and reporting on international child labor, trafficking in persons, and forced labor and to support efforts to eradicate exploitive child labor worldwide. – This position’s full performance level is GS-13. – This position is inside the bargaining unit. Open to all groups of qualified candidates. SES Candidate Development Program graduates with noncompetitive eligibility may apply for noncompetitive consideration for this position. 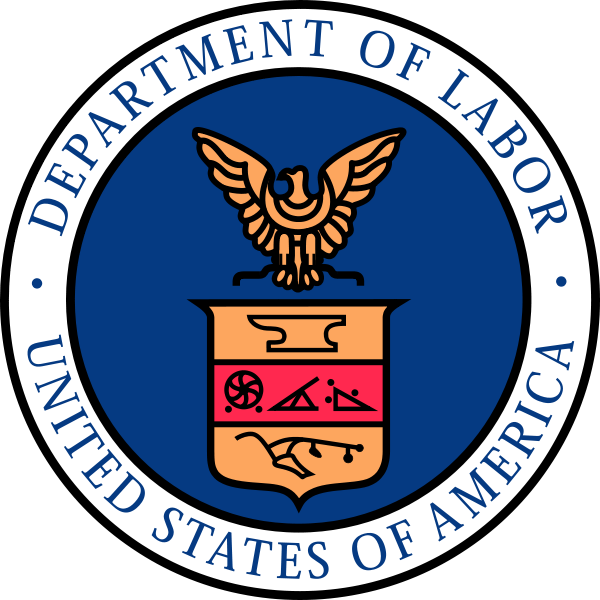 The mission of the U. S. Labor Department’s Bureau of Labor Statistics (BLS) is to serve as the principal Federal agency responsible for measuring labor market activity, working conditions, and price changes in the economy. Its mission is to collect, analyze, and disseminate essential economic information to support public and private decision-making. As an independent statistical agency, BLS serves its diverse user communities by providing products and services that are objective, timely, accurate and relevant. The Department of Labor (DOL) seeks to attract and retain a high performing and diverse workforce in which employees differences are respected and valued to better meet the varying needs of the diverse customers we serve. DOL fosters a diverse and inclusive work environment that promotes collaboration, flexibility and fairness so that all individuals are able to participate and contribute to their full potential. These positions are located in the DOL, Bureau of Labor Statistics (BLS). BLS is the principal Federal statistical agency responsible for measuring labor market activity, working conditions, and price changes in the economy. Its mission is to collect, analyze, and disseminate essential economic information to support the public and private decision-making that forms the basis of our democratic, free-enterprise system. Like all Federal statistical agencies, the BLS executes its statistical mission with independence, serving its users by providing products and services that are accurate, objective, relevant, timely, and accessible. – These positions have promotion potential to GS-12. Promotion Potential: There is no obligation to provide future promotions to you if you are selected. Future promotions are dependent on your ability to perform the duties at a higher level, the continuing need for an employee assigned to the higher level, and supervisory approval. – These positions are inside the bargaining unit. – A writing sample may be required at time of interview. – This announcement may be used to fill additional like positions. – These positions will not be filled until the Department’s Placement Assistance Program is fully utilized. – Applications for this announcement will be accepted online only by clicking the “Apply Online” button. U.S. Citizens; ICTAP and CTAP eligibles in the local commuting area. Also being advertised as job announcement #MS-15-MSHA-182 for status applicants, Veterans Employment Opportunity Act (VEOA) applicants & persons eligible under these non-competitive authorities: 30% or more compensably disabled veterans; persons w/disabilities (Schedule A); present/former Peace Corps (PC) personnel & former PC volunteers. To be considered for each, apply to BOTH jobs. DOL seeks to attract and retain a high performing and diverse workforce in which employees’ differences are respected and valued to better meet the varying needs of the diverse customers we serve. DOL fosters a diverse and inclusive work environment that promotes collaboration, flexibility and fairness so that all individuals are able to participate and contribute to their full potential. This position is located in the Department of Labor, Directorate of Program Evaluation and Information Resources (PEIR), Information Technology Center (ITC), Denver, CO. This position has no promotion potential. – This position is outside the bargaining unit. Special Employment Consideration: DOL encourages persons with disabilities to apply, including those eligible for hiring under 5 CFR 213.3102(u), Schedule A, Appointment of persons with disabilities [i.e. intellectual disabilities, severe physical disabilities, or psychiatric disabilities], and/or Disabled veterans with a compensable service-connected disability of 30% or more. U.S. Citizens; ICTAP and CTAP eligibles in the local commuting area. Also advertised as job announcement #MS-15-BLS-EU-176 for all current, Federal Bureau of Labor Statistics employees with competitive status, and CTAP eligibles. Department of Labor (DOL) seeks to attract and retain a high performing and diverse workforce in which employees differences are respected and valued to better meet the varying needs of the diverse customers we serve. DOL fosters a diverse and inclusive work environment that promotes collaboration, flexibility and fairness so that all individuals are able to participate and contribute to their full potential. This position is located in the DOL, Bureau of Labor Statistics (BLS), Office of Employment and Unemployment Statistics, Office of Current Employment Analysis, Division of Labor Force Statistics, American Time Use Survey. BLS is the principal Federal agency responsible for measuring labor market activity, working conditions, and price changes in the economy. 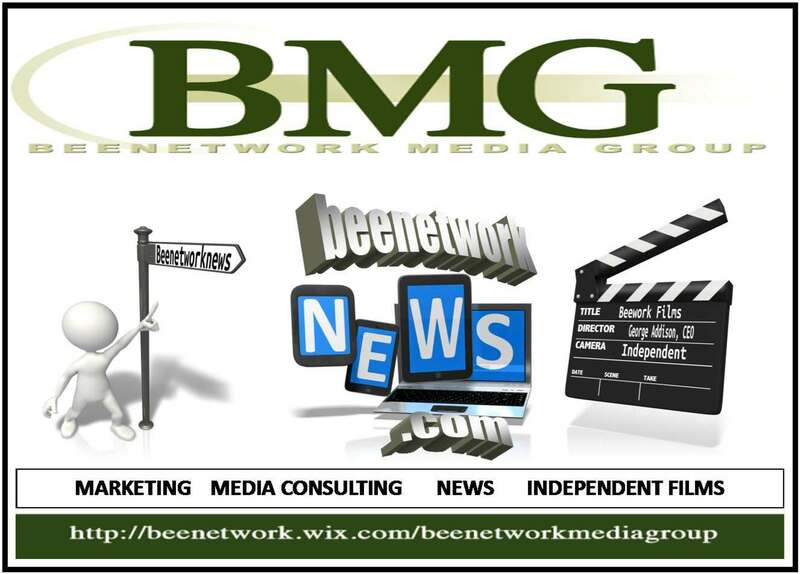 Its mission is to collect, analyze, and disseminate essential economic information to support public and private decision-making. As an independent statistical agency, BLS serves its diverse user communities by providing products and services that are objective, timely, accurate, and relevant. This is an interdisciplinary position and may be filled by either an Economist or a Statistician (Economics). This position is at its full promotion potential. This position is inside the bargaining unit. A writing sample may be requested at the time of the interview. This position will not be filled until the Department’s Placement Assistance Programs have been fully utilized. This announcement may be used to fill additional like positions. Applications for this announcement will be accepted online by clicking the “Apply Online” button. U.S. Citizens; ICTAP and CTAP eligibles in the local commuting area. Also being advertised as job announcement #MS-15-CHI-BLS-0225 for status applicants, Veterans Employment Opportunity Act (VEOA) applicants. To be considered for each, apply to BOTH jobs. DOL seeks to attract and retain a high performing and diverse workforce in which employees differences are respected and valued to better meet the varying needs of the diverse customers we serve. DOL fosters a diverse and inclusive work environment that promotes collaboration, flexibility and fairness so that all individuals are able to participate and contribute to their full potential. This position is located: U.S. Department of Labor/Bureau of Labor Statistics, Office of Field Operations, Division of Price Programs, Branch of Consumer Price Index Programs in Wausau, WI. This position has promotion potential to GS-7. Promotion Potential: There is no obligation to provide future promotions to you if you are selected. Future promotions are dependent on your ability to perform the duties at a higher level, the continuing need for an employee assigned to the higher level, and supervisory approval. – This position is inside the bargaining unit. – Relocation costs will not be paid. Assigned work may be located throughout the Wausau, WI Metropolitan Area. The initial average hours per week is 23. Hours may fluctuate based on workload and training requirements. This is not a job for a person who needs full-time work or who cannot be available for work when it is required, including a mix of day, evening and weekend hours. This position will not lead to a permanent full-time position. NOTE: Visits to residences are necessary and evening and weekend work is scheduled. Work in retail stores is typically completed during normal business hours. You must travel to the Bureau of Labor Statistics training center in Washington, D.C. two times during the first 18 months for mandatory classroom training. Additionally, you will attend mandatory Housing survey training in your local area during the first year. U.S. Citizens; ICTAP and CTAP eligibles in the local commuting area. Also being advertised as Vacancy Announcement# MS-15-BLS-OT-190 for status applicants and Veterans Employment Opportunity Act (VEOA) applicants. To be considered for each, apply to BOTH jobs. The Department of Labor (DOL) seeks to attract and retain a high performing and diverse workforce in which employees differences are respected and valued to better meet the varying needs of the diverse customers we serve. DOL fosters a diverse and inclusive work environment that promotes collaboration, flexibility and fairness so that all individuals are able to participate and contribute to their full potential. This position is located in the DOL, Bureau of Labor Statistics (BLS), Office of Technology and Survey Processing (OTSP), Directorate of Technology and Computing Services, Division of Enterprise Web Systems (DEWS), Content Management & Quality Control Branch. BLS is the principal Federal agency responsible for measuring labor market activity, working conditions, and price changes in the economy. Its mission is to collect, analyze, and disseminate essential economic information to support public and private decision-making. As an independent statistical agency, BLS serves its diverse user communities by providing products and services that are objective, timely, accurate, and relevant. OTSP provides IT support to all aspects of BLS data development initiatives. – This position is at full performance level. – This position is inside the bargaining unit. – A writing sample may be required at time of interview. – This announcement may be used to fill additional like vacancies. – This position will not be filled until the Department’s Placement Assistance Programs have been fully utilized. – Applications for this announcement will be accepted online only by clicking the “Apply Online” button.